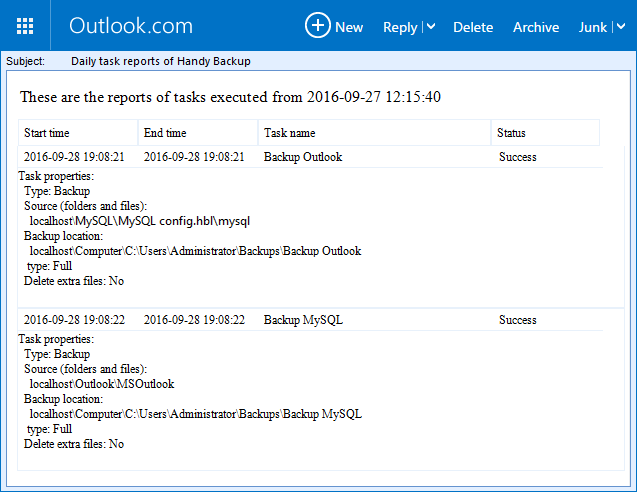 The featured Backup Reports window allows users checking status and results of every task completed or attempted by Handy Backup. 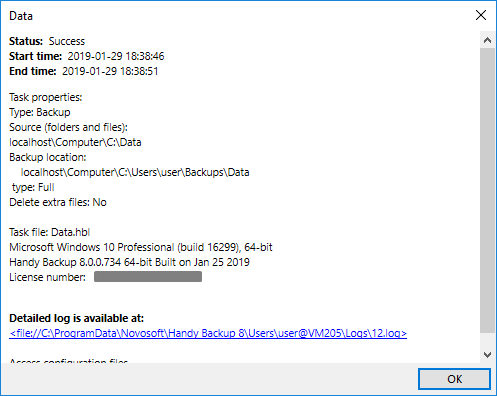 Any hot version of Handy Backup supports Backup Reports; therefore, it is a time to download a newest Handy Backup to install or upgrade with this feature. Through the Backup Reports feature, a user can take a brief information about the list of tasks executed by Handy Backup. By double-clicking on a particular task, the more detailed report about this task will appear in a new window, providing all crucial information about the particular task and its results. You can set up the program to send you detailed reports about all tasks that software attempted for a given period. You will receive these reports on an email address confirmed in program settings. To select a period you need, just pick it from the drop-down list on the bottom of the reports window. To select and set up an email address for reporting, please click the “Configure email notification” link next to the drop-down list of possible reporting periods. Handy Backup will redirect you to the configuration section, where you can set up all data for your administrative email. How to Call for Backup Reports? This picture shows the button calling for Backup Reports by the red rectangle drawn on the Management Panel. 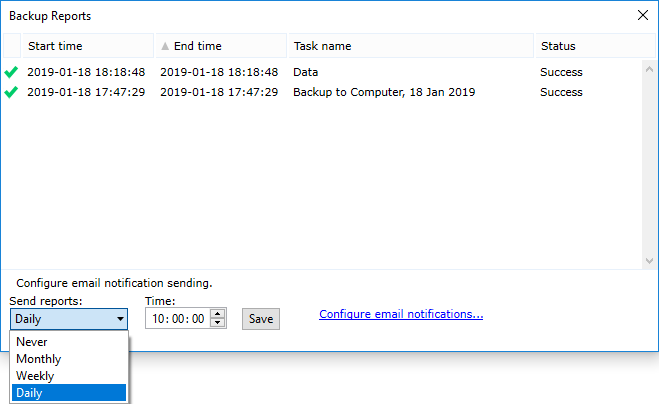 With this feature, you can quickly browse through your many backup tasks executed by different times, to find which data your back up, synchronize or restore in any particular moment and by any particular task, which results this task brings and if this task being executed successfully. 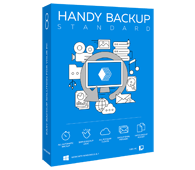 Starting with a basic-level Standard edition, Handy Backup allows users to control all executed tasks through the Backup Reports window.